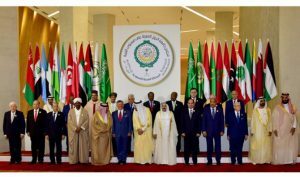 DHAHRAN, Saudi Arabia: Leaders gathered at the Arab summit stressed the centrality of the Palestinian cause and their support for the Palestinian people in their struggle to have an independent state with East Jerusalem as its capital. 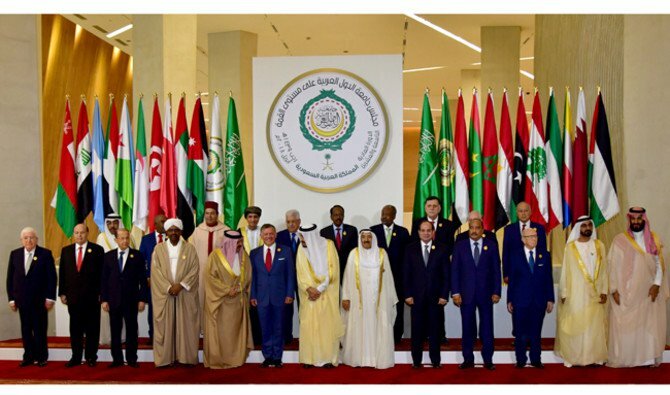 The leaders also stressed the importance of uniting Arab efforts in the fight against terrorism and to confront Iran’s expansionist ambitions in the Arab region. In his opening remarks, King Salman named the current Arab League Summit the “Jerusalem Summit” in solidarity with the Palestinian people. He also announced the dedication of $50 million to UNRWA and $150 million to the Islamic Endowment Support Program in Jerusalem, saying: “The Palestinian issue will remain our top issue until all Palestinians get their legal right to establish an independent state with Jerusalem as its capital. “As we reiterate our condemnation and rejection of the American administration’s decision concerning Jerusalem, we commend the international consensus that rejects it, and we affirm that East Jerusalem is an inalienable part of the Palestinian territory. “On Yemen, we affirm our commitment to Yemen’s unity, sovereignty, independence, security and territorial integrity. Jordan’s King Abdullah II said his country made every effort during its presidency of the Arab Summit, and in coordination with Arab leaders, to face the historical challenges of the Arab nation and harness all possibilities and international relations to serve the just causes of our Arab nation, especially the Palestinian cause and Holy Jerusalem. Palestinian President Mahmoud Abbas called for the adoption and support of the peace plan he put forward last February in the UN Security Council, which is based on the Arab initiative. It calls for convening an international peace conference in 2018 and for the admission of the State of Palestine as a full member of the UN. Egyptian President Abdel Fattah El-Sisi affirmed absolute confidence in the wisdom of King Salman in supporting the joint Arab action mechanism, stressing that some regional countries are trying to establish areas of influence in the Arab countries. As for the Yemeni crisis, El-Sisi said that Egypt is committed to working toward achieving a political solution in Yemen, stressing that Egypt would not tolerate the bombing of Saudi Arabia by some Yemeni elements. El-Sisi added that the army of a foreign state is currently present on the territories of two Arab countries.